When we need to buy a new desktop or laptop, many doubts come up: Computer hardware, software…what even is it? How can I protect my new brand device from any computer virus? Do not worry. Luckily, there are many computer shops in Islamabad offering great products and advice for you to get the computer that better fits your needs. In addition, they also sell individual computer parts and count with a computer support program to get it ready or in case you need a computer repair at some point. Whether you need some complex devices for your company or a mini computer to carry to university, you will find the best options thanks to the different shops, computer warehouses and computer wholesale possibilities in Islamabad. Search information online and think of your knowledge and experience to choose a platform: Windows, Mac or Chrome OS. Think of how do you want to use it and if you are interested in a 2-in-1 device like the ones whose screen can come off and be used as a tablet. Select the right size for you, from 11 to 18 inches. Do not choose a huge one if you pretend to take the laptop with you rather than leave at home. Check the keyboard and touchpad. 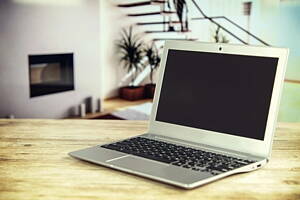 Choose a laptop with a battery that last at least 6 hours, mainly if you need to carry it out of home. Think of your budget. You don’t need to waste a lot of money if you carefully compare laptops. The brand matters. For example, when it comes about the technical support and warranty. At Infoisinfo, our goal is to provide you with the most useful information possible so that you can easily find the best products and services for you and your company in Islamabad. We think that both your company and you need the latest computer systems for an efficiency work performance or just to enjoy your favourite computer games. Therefore, we have prepared a list of the best computer shops in Islamabad for you to choose from. Get in touch thanks to the contact details provided such as phone numbers, websites, address and opening times. In addition, you can have a look at comments and valuations from other clients to get a better idea about the shops and computer companies. office No 6, 1st Floor, Ahmed Center, I-8 Markaz, I-8. Islamabad. Islamabad Capital Territory. GM Plaza, Jinnah Boulevard 5th Floor, Gate 01, Phase II, DHA Islamabad, Pakistan, Islamabad. Islamabad. Islamabad Capital Territory. Office No 135, posh Arcade Plaza G-9 Markaz Islamabad, G-9. Islamabad. Islamabad Capital Territory. 23 East, Fazal ul Haq Road, Zakia Aziz Plaza, Suite # 7 & 8, Blue Area. Islamabad. Islamabad Capital Territory. Our company's activities are computer and computer accessories. Do you want to know more about us? Visit our website. 4 A, 4th Foor, ATS Center, Fazal-e-Haq Road, Blue Area. Islamabad. Islamabad Capital Territory. Our main categories are computer and equipment. If you need more information, please visit our website. #23, Street # 88, G-6/3, 44000. Islamabad. Islamabad Capital Territory. Office #7-8, Ground Flr, Blk-92, Razia Sharif Plaza, Blue Area. Islamabad. Islamabad Capital Territory. 603, Street, 69, I-8/3, P.O. Box:. Islamabad. Islamabad Capital Territory. 71-d Street 39, I-8/2, P.O. Box:. Islamabad. Islamabad Capital Territory. H# 8, Steet 41, G-6 1/3. Islamabad. Islamabad Capital Territory. Our company's activities are computer and computer hardware. Refer to our site if you need more information. 296, Ravi Road, G-8/2. Islamabad. Islamabad Capital Territory. We are the best in the market of computer and software. If you need more info, please visit our site.